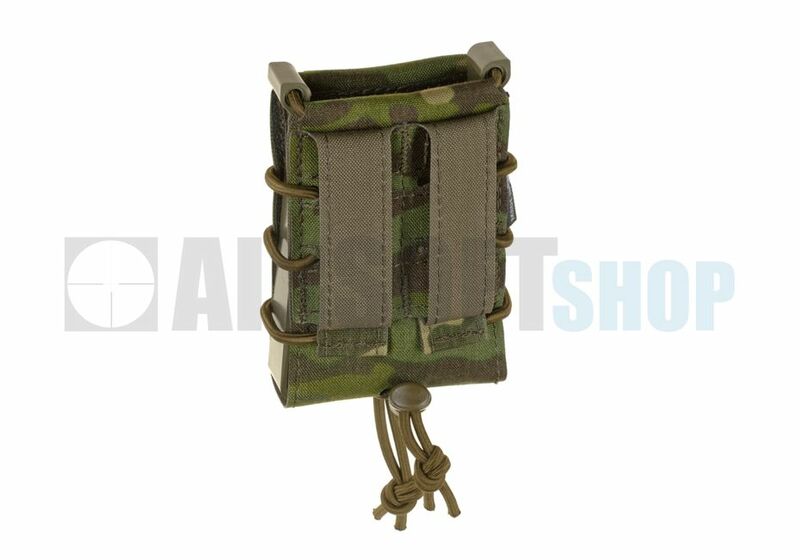 Templar's Gear Fast Rifle and Pistol Magazine Pouch (Multicam Tropic). 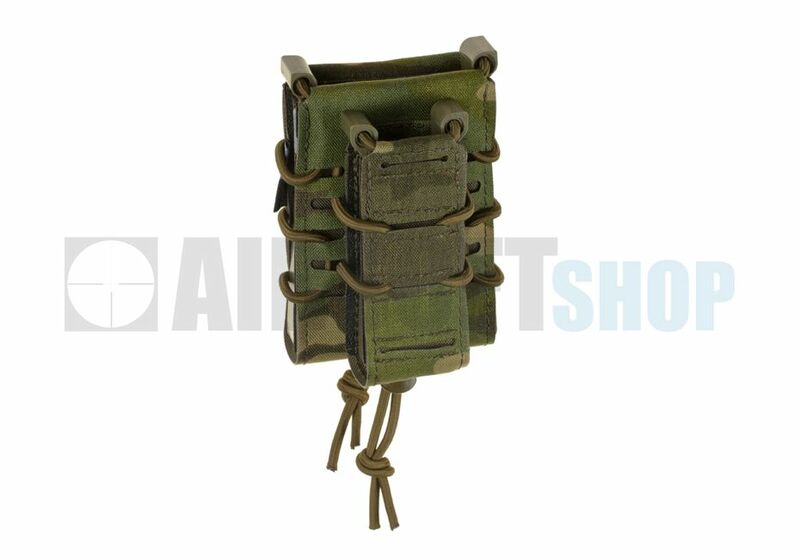 A double mag pouch from Templars Gear company, designed to carry one almost all rifle type magazines and one pistol magazine. Simple, two chamber construction is made of highly durable Cordura 500 laminate with IRR treatment and kydex frame. Sophisticated design and used high quality materials ensure both mechanical strength and comfort during use. 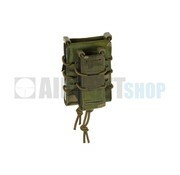 This CQB mag pouch gives the user quick access to magazines in order to reload in a hurry. A very important element of the pouch is regulated system that prevents accidental magazines loss. This system is based on two adjustable shock cords and non-slip pads sewn inside. The front pouch has row of laser cut slots compatible with MOLLE / PLAS that allow attachment of additional pouch or pocket. 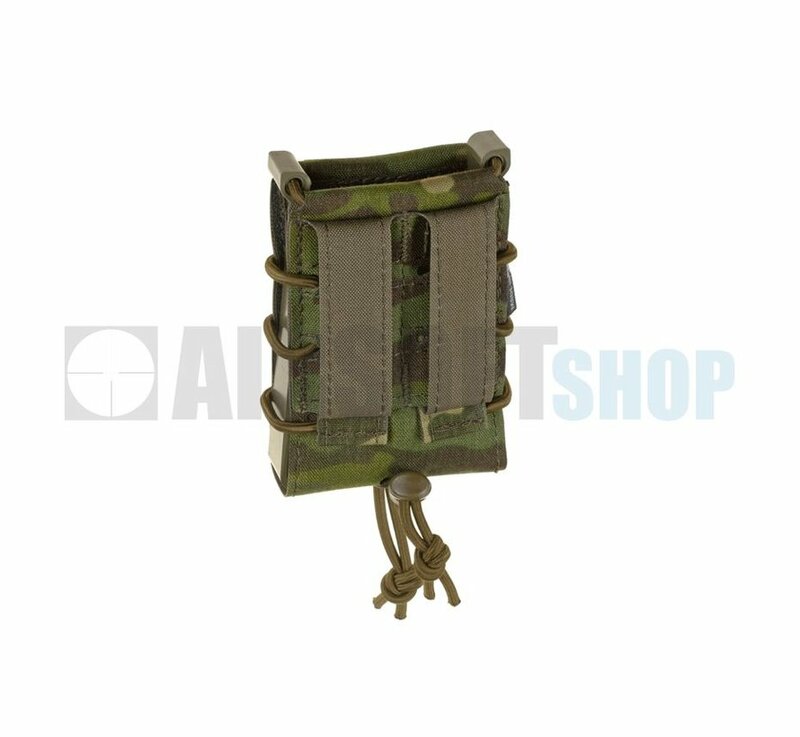 Pocket attachment system is based on two straps, allowing you to attach on vest or belt MOLLE panel. Compatible with most rifle and pistols magazine.